Two new majors at Eastern Mennonite University offered in fall 2018 will prepare students to fill key roles in the growing fields of marketing and organizational leadership. The employment outlook for both areas is positive, according to the U.S. Bureau of Labor Statistics. Marketing jobs are expected to grow by 10 percent – and management jobs by close to that – through 2026. As with many majors at EMU, the new academic programs offer internships and practicum experiences. 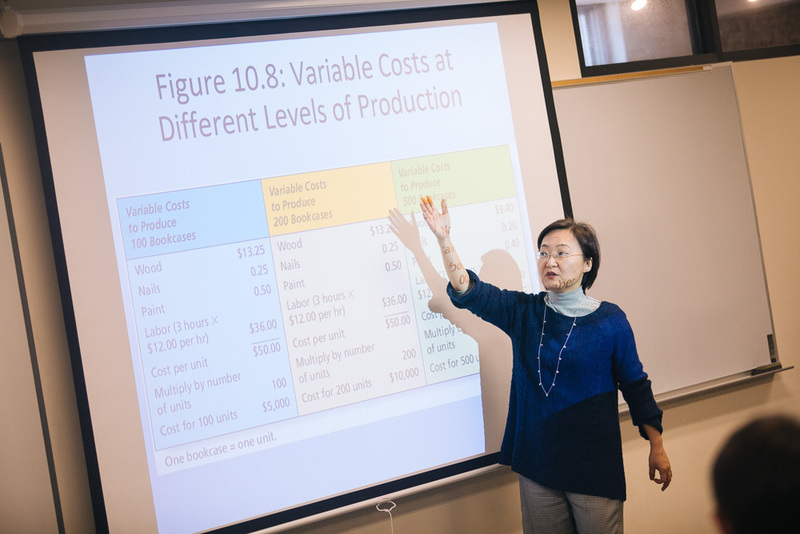 Students wishing to double-major in accounting or economics – or to add minors such as nonprofit management – will find that the programs integrate well, Leaman said. The marketing major – a collaboration between the visual and communications arts (VACA) and business and economics departments – places EMU among the only 12 percent of four-year private institutions in Virginia offering the degree. But like other majors at EMU, it comes with the university’s significant and unique emphasis: global and cultural perspective. Paul Johnson, a digital media major in the VACA department at EMU, works on a project in Adobe Illustrator. The major has two tracks: media and design, and management. 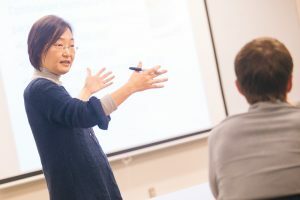 Each includes curriculum from the traditional marketing and business perspective as well as the arts, and will prepare students for careers at nonprofits, businesses, nongovernmental organizations and institutions of higher education – or start-up businesses and design and media enterprises, Leaman said. 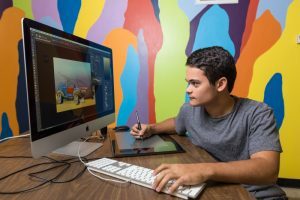 Within the media and design track, students will acquire a set of skills that enables them to create media forms ranging from the single image to visual and text campaigns and longer-form video storytelling. The business-leaning management track will prepare students for marketing management and oversight roles. Course topics include consumer behavior, sales and e-commerce, strategic marketing management, branding and design, and communication strategy. “Prospective students are really interested in marketing,” said Matt Ruth, director of admissions. “They are digital natives and many have dreams of becoming entrepreneurs and blazing their own paths.” The portfolios of work they amass in the program’s courses will reflect “the natural intersection of design and business,” he said. A marketing minor is also offered to students seeking orientation to the essential skills and concepts of the field. The organizational leadership major will equip students to manage human capital and organizational systems. It will draw heavily on psychology and applied social sciences courses to prepare graduates for middle management or project management early in their careers. Students in the program will gain skills in project management, team dynamics and team-building, interpersonal conflict and mediation, and personal leadership development. Course topics will include leadership theory and practice, human resource management, social psychology, applied behavior analysis, psychology of interpersonal relationships and more.